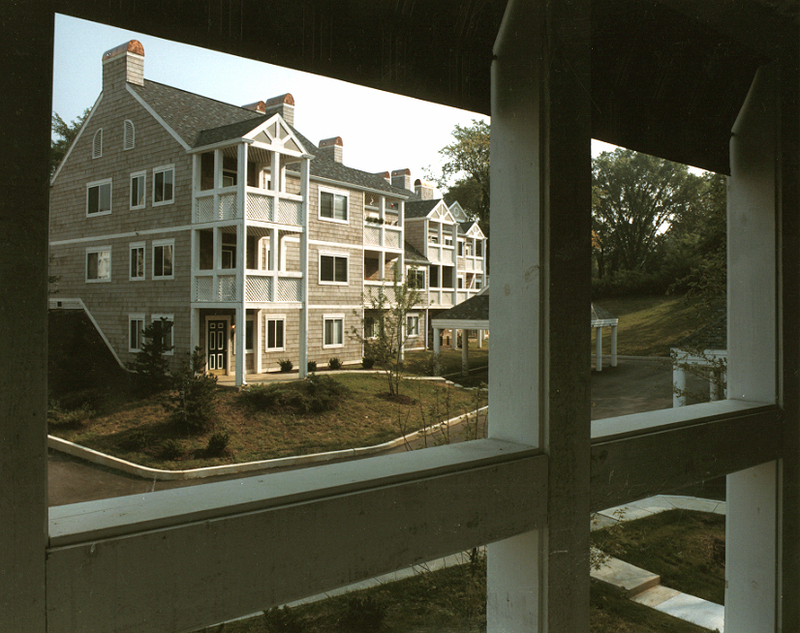 Six buildings were designed to fit within the contour of the land, with units on three floors on the downhill slopes and two floors on the uphill side. Designed in this fashion, the 66 units were able to be accommodated using less of the site and preserving the views and privacy of the remaining wood landscape. The six buildings form two semi-circular tiers which orient the living areas away from the parking areas and towards the woods. The individual units were staggered to form private areas between units which accommodate private wood decks and patios.